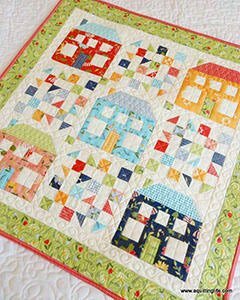 Learn how to accurately piece mini quilts with this fun house and patchwork mini quilt. You will have a fun little neighborhood to hang on your wall or use as a table topper when you are finished. Pattern fee $6.50.